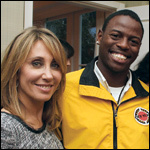 Lisa Jacobson, partner and head of United Talent Agency’s branding, licensing and endorsement dept. 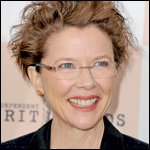 Who: A veritable perennial during awards season, Annette Bening has gained acclaim for her Oscar-nominated performances in “The Kids Are All Right” (2010), “Being Julia” (2004), “American Beauty” (1999) and “The Grifters” (1990). The stage-trained actress won Golden Globes for her roles in “Being Julia” and “The Kids Are All Right” and will be seen in the upcoming “He Loves Me” (2012), helmed by Jonathan Dayton and Valerie Faris, and “Hemingway and Fuentes” (also 2012), alongside Anthony Hopkins and Andy Garcia. What: The Actors Fund, established in 1882, is a nonprofit umbrella organization that assists American entertainment and performing arts professionals via social and health services, and support in times of transition or crisis. The Fund operates the Dorothy Ross Friedman Residence in New York City, a site that provides housing to special low-income groups including seniors, working professionals and people living with AIDS. It also runs a similar medical and residential facility in West Hollywood called the Palm View, as well as the Lillian Booth Actors Home in Englewood, N.J., a nursing home and assisted care facility for retired members of the entertainment community. Who: A nine-time Grammy-award-winning singer, songwriter, and actress, Mary J. Blige has recorded eight multi-platinum albums since her career began in 1992, and has sold upward of 50 million albums and 15 million singles worldwide. Film credits include a supporting role in Tyler Perry’s 2009 “I Can Do Bad All by Myself” and a starring role in the upcoming Ealing Studios’ Nina Simone biopic, titled “Nina,” due out in 2012. What: Ffawn, the Mary J. Blige and Steve Stoute Foundation for the Advancement of Women Now, aims to empower and encourage women by creating and supporting programs that foster education, career development, self-esteem and personal growth. Founded in 2007 and working regionally in Westchester County, N.Y., Ffawn programs include the Mary J. Blige Center for Women, located in her hometown of Yonkers, N.Y.; 3E, a yearlong series of monthly workshops about “empowerment through education and encouragement”; and scholarships for the graduating class of the Women’s Academy of Excellence in the Bronx. Who: As the star singer and leading diva of a high school glee club on Fox’s smash hit “Glee,” Lea Michele has won her share of fame and accolades, including Grammy and SAG awards. The show’s music, often with the Broadway-bred actress singing lead, has been a huge commercial success, boasting more than 21 million digital single sales and numerous live tours. Michele has upcoming roles in 2011’s “New Year’s Eve,” helmed by Garry Marshall and co-starring Sarah Jessica Parker, Jessica Biel and Ashton Kutcher; and in 2012’s “Dorothy of Oz,” an animated musical in which Michele lends her voice to the title character. What: People for the Ethical Treatment of Animals (PETA) is an animal rights organization active since 1980. Boasting 300 employees and 2 million members and supporters, it is the most conspicuous animal rights activist group in the world. PETA believes that “animals are not ours to eat, wear, experiment on, use for entertainment, abuse or exploit.” PETA focuses its attention on four main areas — factory farms, the clothing trade, laboratories, and the entertainment industry — though the organization also works on other issues, including cruelty to domesticated animals. Why: “For me to be able to fight and speak up and protect animals who can’t speak for themselves feels really empowering,” Michele says. She says she got involved with PETA in 2006 after seeing a presentation on a Janice Dickinson reality show. “They showed a video, which was very disturbing, but it opened up my eyes. 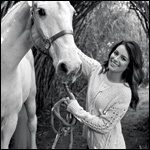 Afterward the spokesperson said if you could just take one moment and go look online, and I immediately turned off the television and went onto peta.com.” Michele left a note in the comment box saying she was a Broadway actress and wanted to help, and she got a reply by email the next day. “I’ve been working with them ever since,” she says. The Sentinel” (2006) and “The Heartbreak Kid” (2007), while recent roles include “Without Men” (2011). Longoria will star in “Cristiada” (2011), a chronicle of the Cristero War directed by Dean Wright and co-starring Oscar Isaac, Andy Garcia and Peter O’Toole. What: Eva’s Heroes is Longoria’s own nonprofit organization that aims to enrich the lives of those with intellectual special needs. The non-profit cultivates an inclusive atmosphere built on four tenets: interaction, growth, learning and love. Based in San Antonio, Texas, it aims to help teens with special needs ages 14-21 to integrate and flourish in society. Eva’s Heroes boasts after-school and summer programs, as well as monthly activities ranging from spectator sports events to museum trips to dining out. What’s next: “We want to go regional, statewide, nationally,” says Longoria. “Every community could use the template that we use; it would be so easy.” In addition, the foundation hosts an annual Casino Night fundraiser in Texas in October. “It will be bigger and better than ever, and we’re excited for it,” Longoria says. Who: Stacey Snider is a partner of DreamWorks Studios, as well as its co-chairman and CEO. With director Steven Spielberg, a colleague and collaborator for years, Snider oversees all creative aspects of film development and production in addition to the company’s business and financial strategy. Snider, who has been profiled in Variety’s Women’s Impact Report three times dating back to 2006, came from the top job at Universal Studios, where she helped originate the “Bourne,” “Mummy” and “American Pie” franchises. In addition to such recent productions as “The Help,” upcoming studio releases for DreamWorks include October’s “Real Steel,” starring Hugh Jackman and helmed by Shawn Levy, and the Spielberg-directed WWI story “War Horse,” due out in December, based on the Michael Morpurgo novel. What’s next: Snider recently helped organize City Year’s Spring Break fundraiser, and says she’s excited to try and top that event next May. Last year’s event featured music by Keri Hilson and LMFAO. In addition, City Year’s In School & On Track initiative hopes to pair City Year corps members with 50% of all of students in danger of not graduating in City Year’s 21 U.S. locations. Who: After attention-getting performances in such shows as “The OC” and “House,” Olivia Wilde has employed her exotic looks and enigmatic presence to startling effect on the big screen, starring as an intergalactic action hero in “Cowboys & Aliens” and digital dream girl Quorra in “Tron Legacy” in 2010. She will next appear in “Butter” with Hugh Jackman and Jennifer Garner and “In Time” alongside Justin Timberlake and Amanda Seyfried, both due in October. What: Artists for Peace and Justice (APJ) is a non-profit organization supporting communities in Haiti through programs in education and health. Before the Haitian earthquake in January 2010, APJ was already in Haiti on humanitarian missions in coordination with an American doctor and community organizer who has worked in the slums of Port-au-Prince for 22 years, Father Rick Frechette. APJ gives grants for specific projects, often involving medical care or education, and 100% of its donations go to the cause: APJ has no overhead costs. In October, APJ opened the Academy for Peace and Justice in the slums of Port-au-Prince to 400 students. What’s next: “We would eventually like to build an arts university, with our sponsorship of primary, secondary then onto a university,” Wilde says. APJ is also in partnership with the Ciné Institute, which provides Haitian youth training in technology and commercial film production.